A new species of a ground-dwelling lizard has been discovered in Mumbai and its adjoining district of Thane. Found in localities like Sanjay Gandhi National Park in north Mumbai, the Aarey Colony in Goregaon and Thane's Badlapur forested belts, this small ground-dwelling gecko belongs to the genus Cyrtodactylus. This discovery is a result of meticulous efforts by lead author Ishan Agarwal and Aaron Bauer of Villanova University, USA and other members in the team: Zeeshan Mirza and Anurag Mishra of National Centre for Biological Sciences, Bengaluru, and Saunak Pal of Bombay Natural History Society. How is this new species of lizard different? The gecko is brownish in colour with dark brown spots. Unlike forest lizards, geckos of this genus do not have well-developed lamellae (special structure on the foot) as common lizards. Hence, they are predominantly found on the ground. 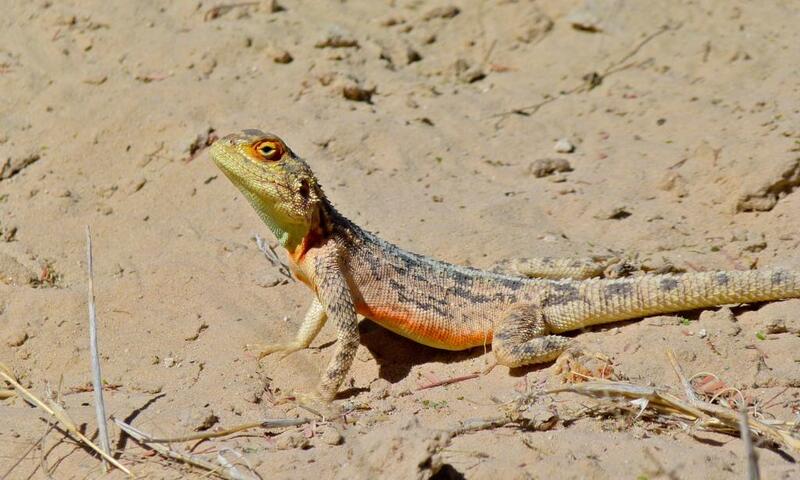 These lizards are active during night and hide under rocks and logs during the day. Known to live around human-dominated landscapes, this lizard grows up to a length of around six centimetres. The species is endemic to the biodiversity-rich Western Ghats of Maharashtra-Karnataka region. They breed during the southwest monsoon. They are brightly coloured and known for their dramatic displays. “Superbus” in Latin means magnificent. They breed during the southwest monsoon. It is named after the four prominent spines on the back of its head. “Spinae” is Latin for spine and “Cephalus”is Greek for head. They breed during the southwest monsoon. They are named after their broad head. “Latus” means broad and “Ceps” means head in Latin. In January 2013, the same team discovered genus Cnemaspis or the dwarf geckos in the Western Ghats of Maharashtra. The unique feature of these geckos is a rounded pupil in their eyes. In the beginning of 2016, Giri, and his colleague V Deepak, discovered one new genus and five new species of fan-throated lizards (also called agamids) in India. The recent discoveries point to the need for conducting dedicated surveys across the Western Ghats and document the diversity of reptiles so that they can be saved from becoming prey to anthropogenic pressure. India has a rich diversity of amphibians and reptiles, but the present knowledge about the diversity of reptiles is based on the studies conducted before the independence. A large chunk of endemic fauna still remains poorly documented. However, work towards knowing this group of species has seen some progress in the last two decades with most of the studies being concentrated in the Western Ghats, northeast India as well as barren and dry zones of India, which were traditionally thought to lack species richness.